Cardiovascular disease affects approximately 27.6 million Americans and is the leading cause of death for almost all ethnic groups in our country. One in four deaths can be attributed to cardiovascular disease, with 735,000 heart attacks occurring annually. Despite national and statewide efforts, there is little to no progress being made in decreasing the prevalence of cardiovascular disease. However, due to innovations in primary care prevention and resuscitation science, patients are living longer with cardiovascular disease and surviving heart attacks and cardiac arrest. This webinar discusses current data trends in cardiovascular health and examines contributing factors to cardiovascular disease for adults, adolescents, and children. In addition, the webinar will examine new scientific findings and guidelines for management of cardiovascular disease from a community and acute care perspective. Who can benefit from the webinar and what organization/group can be invited to attend? Healthcare providers from the acute care community and public health sectors, including nurses, nurse practitioners, and pre-hospital emergency service providers. Dr. Stacey Kram earned her Bachelor of Science in Nursing degree from the University of Maryland in 2003 and a Master of Science in Nursing with a concentration in healthcare leadership and education in 2011. After a brief break from her schooling, she returned to school to earn her doctorate in Nursing Practice from Salisbury University, where her evidence-based practice project focused on delirium identification and prevention in critically ill patients. Dr. Kram’s clinical experience has been primarily in the care of critically ill adults. She is certified by the American Association of Critical Care Nurses in Adult Critical Care and Adult Progressive Care. 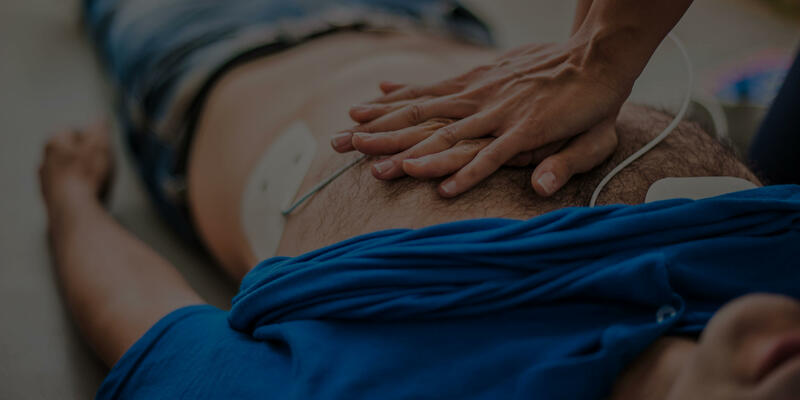 She is also certified by the American Nurse Credentialing Center in Professional Staff Development, and is a current American Heart Association Basic Life Support and Advanced Life Support instructor. Prior to becoming a full-time professor, Dr. Kram worked as a nurse manager for a novice nurse residency program, a clinical specialist, and an education specialist for a community hospital system. She also served for three years as a First Lieutenant in the United States Army Reserve Nurse Corps in the 2290th Army Hospital at Walter Reed Army Medical Center. Taffie Wilson is a registered nurse and received a Bachelor of Science in Nursing from Salisbury University in 2005. She also holds a Master of Science in Park and Recreation Resource Management from Frostburg State University. At this time, she is currently enrolled in the Master of Science Nurse Educator Track at American Public University. The first ten years of her nursing career were spent as an Emergency Department Staff Nurse. In 2015, she transitioned to her current role as Resuscitation Education Coordinator for the University of Maryland Shore Regional Health. In addition to her professional role, Taffie also serves as the Delegating Nurse for Saints Peter and Paul Schools.